Designed by HA Rowbotham and TL Smithson Art Deco Brockwell Lido was built in 1937 and is similar in design to other Lidos built in England around the same time. It remains one of the best examples of the celebrated style of this era. It was closed in 1990 as part of cost saving measures by Lambeth Council. Around this time, the Brockwell Lido Users group was established and pushed for it to re-open. In 1994 Brockwell Lido re-opened and proved to be as popular as ever with the diverse local community. Fusion Lifestyle took over the running of the pool in 2003, at around the same time the building was given Grade II listed status. We took over the running of the Cafe in late 2009 and after an extensive refurbishment, opened it to the public as well as swimmers for the first time in it’s history. The Lido Cafe is a modern British restaurant open all day. We serve award winning Breakfast, Lunch and Dinner in one of London’s most unique settings. Using seasonal ingredients when they are at their best and most abundant we create monthly changing Lunch and and Dinner menus. From the sourdough bread we use for our Breakfasts, to the oil we cook our chips in, we take great time and care, working with small producers to find the best ingredients we can. Our all European wine list has been thoughtfully selected, and we offer many of these by the carafe and glass. We have a menu of craft beers (all brewed in London) that are great on their own, but even better when paired with the right food. This is a beautiful, light and airy restaurant, with wonderful views of Brixton Lido. Recently taken over by new management....I have no doubt that I'll be able to leave a five star review soon when they settle in to their rhythm and stride. Our party of 6 enjoyed our brunch, but I'd like a choice of more health conscious breakfasts and drinks. Food used to be fabulous. Menu now changed. Only vegetarian sausages an example of the new vogue. Terrible too. Fine if you are a veggie - great shame if you loved this place before and will now struggle to return. We used to go to the cafe when it first opened but have been disappointed in recent occasions. However our shakshuka was delicious and a generous portion! We (three of us) visited the Lido cafe on a Saturday for brunch, luckily I had booked as when we arrived it was mayhem with a long queue and frazzled looking waiters/waitresses! We were sat quickly, eventually our menus came and we were able to order. The food came out and it was OK, I had the celeriac rosti dish which was nice enough but nothing special. My friend ordered scrambled eggs and asked for an additional side of chorizo but when it arrived it was a tiny amount and not worth the extra £2.30 she paid for it! I would describe the experience as 'fine' but I probably won't return, there are far nicer brunch places around. food is alwats lovely but service was unfortunately slow on Sat. We were at the table nearest the entrance so the servers seemed never to quite get as far as us. Just little things but waiting for water to be refilled and waiting for the cheque did take a very long time. I love the location of the cafe but yesterday we had to wait 1hour 15 to have our food . At no point did any member of staff say I am sorry you will have to wait, offer anything complimentary or anything . We had to chase us out meal 4 times and each time we were told it would be coming . I think you should have been fair from the beginning and said whatever the reason was why you were soooooo slow and we could have decided to stay or not . they weren't aware of our reservation. Service quite bad and very chilly in there this weekend. My wife and I had our first date here, and it has therefore become a staple venue in our relationship. We have spent valentines, anniversaries and even our wedding day here. Quaint, cosy, intimate atmosphere and fantastic food. Would recommend for brunch (post-dip) or in the evening when they have an event on. Thanks Lido Cafe! The cafe has gone massively downhill in the last year. The waitress did not have a record of our booking, the menu was weekday rather than weekend and service generally poor. The sourdough bread is slightly seeded which is not suitable for my allergies and the menu is not marked up properly for allergies. We used to love the Lido cafe but won't be coming back or recommending any more. It feels like nobody really cares about the service or food any more. The quality of ingredients isn't as good any more either. I love this cafe but you make it so hard for me to do so! It all boils down to the staff really: lovely but hopeless. Or, to be a little kinder, hopelessly untrained; forever avoiding eye  contact with customers, failing to ‘work the house’, huge delays in getting the bill and then further delays in taking payment. This isn’t a one-off experience but an every week experience (yes, I am a sucker for punishment). So guys, focus on how YOU like to be served when YOU dine out. it’s aimple really. 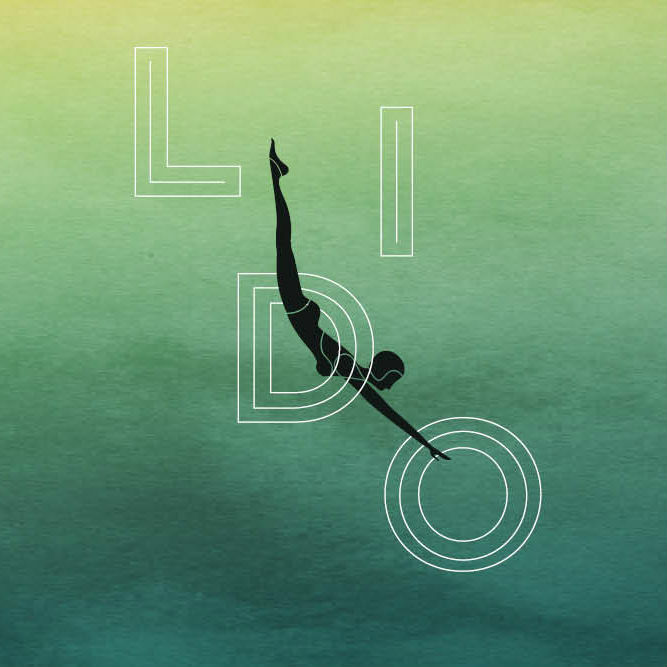 We love the Lido. What we love the most is the outdoor space. We sadly couldn’t sit outside at the weekend for the first time as it was raining on and off. It would be great to see a few large umbrellas for cover over the winter and a heater or two as really feel the space outside makes it. Hi I’ve been here many times over the last five years and unfortunately I’m recently disappointed by a couple of things. Firstly we arrived just after midday, the cafe was quiet but it took over an hour for our food to arrive finally after much urging. Secondly the toilets are looking very shabby and dirty, not to mention the blocked toilet which I had to stand next to when using the space for baby changing. Lastly the menu never seems to vary and one of the few non-brunch dishes such as the burger had “ran out” just after midday. It’s a shame as it’s going to come off our list of local places to go to. Lovely food in a great setting. Staff were really friendly. Food was a bit late but tasted great. Staff a tad annoyed when we asked to sit outside despite there being loads of free tables. Would definitely recommend and will be back. Oh dear, what has happened to The Lido cafe? This used to be my absolute favourite place for brunch but it's seriously gone downhill. Service was ok but food was lukewarm and undercooked. Various items not available on the menu or no longer offered (so why not print new menus then?). Interior looking really drab and tired. Toilets filthy. All in all a meh experience and one I won't be repeating any time soon. Such a shame as this place used to be amazing and has so much potential.